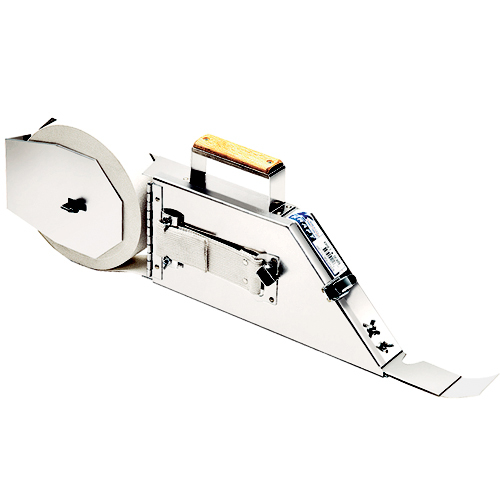 Tape your drywall quickly and productively with the Kraft Right-Handed Drywall Taping Mud Tool Banjo Gun. This taper applies drywall compound to drywall tape and increases speed over traditional drywall hand taping. The dry tape banjo gets its name from having the roll of drywall tape separated from the wet drywall compound - keeping the roll dry. It only applies mud to the tape lead. The Kraft drywall banjo taper is constructed with quality aluminum for a lighter, more durable experience. It has an easily accessible lid that provides fast access to the mud compartment with a single latch. The hinged door opens and re-latches quickly to minimize reload times and improve drywall taping time. The gun also allows the mud flow to be adjustable.